The AM-1 knife, by Abraham & Moses, offers a modern interpretation of the timeless drop point design. 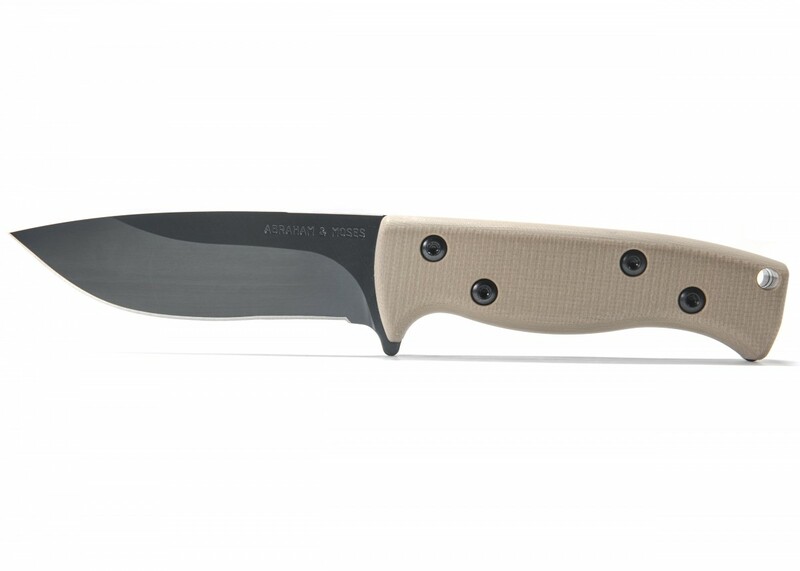 Crafted from D2 Steel, the AM-1 was designed for bushcraft, survival and use as a camp knife. 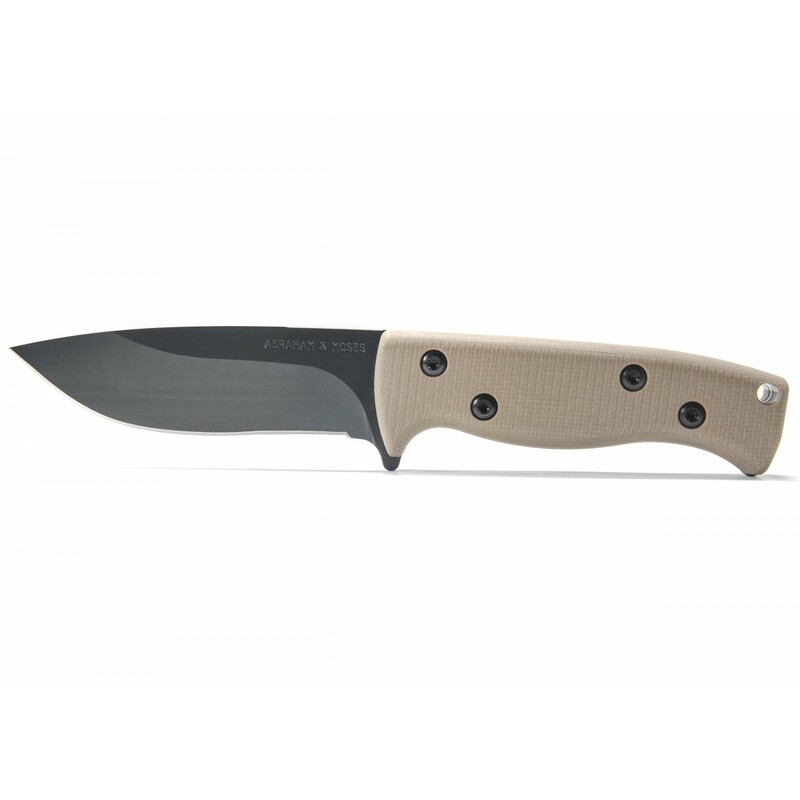 With an overall length of 9.5” and a blade measuring 4.6”, this full tang knife is ready for the most demanding tasks. The skeletonized body helps the AM-1 maintain excellent balance, and the 3D machined G10 handles allow the user excellent control with all types of grips and hand positions. The AM-1 is a work-horse of a knife, ready to accompany you on your next backpacking or hunting trip.